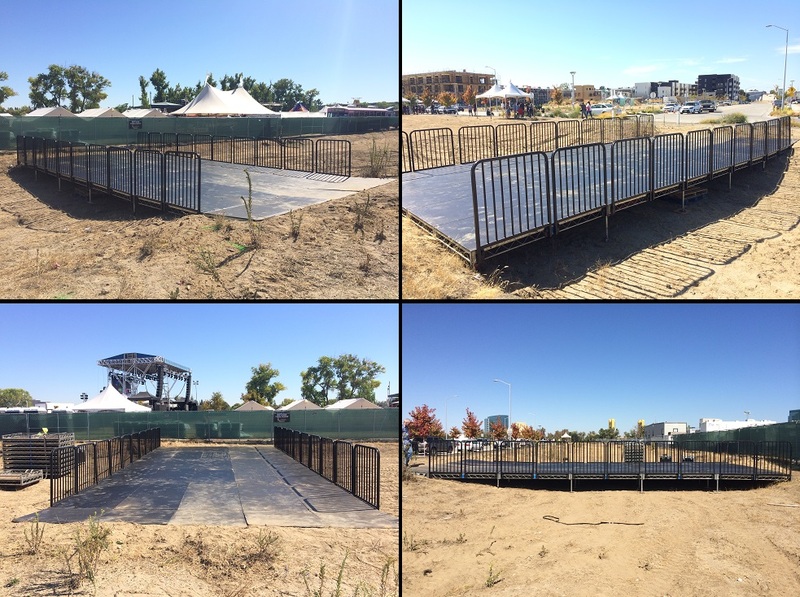 Bridge & Island Stages for rent from Stage CMDR, Inc. in Sacramento. Bridge stages are used to bridge one area to another area. 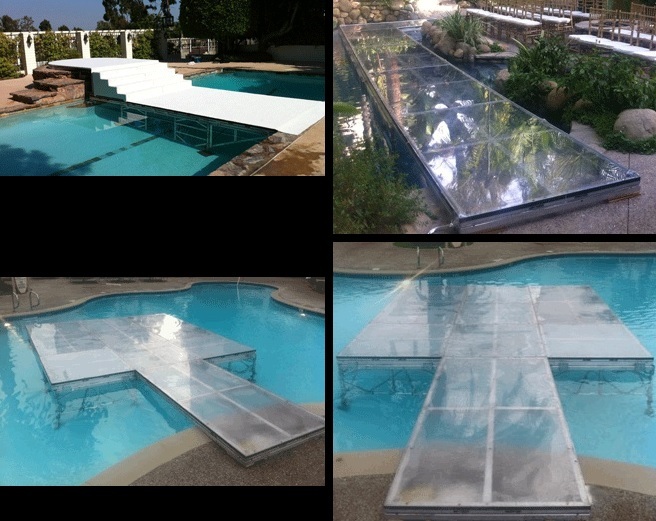 Island stages are used to put a surface in the middle of a body of water for a band, performers or tables. Both can be designed to any size and with or with out handrails on the sides. They can be clear, frosted, colored or standard black.